We recommend that customers remove jewelry before going to bed or participating in physical activity. Exposure to certain harsh chemicals or environments will result in compromising the integrity of your jewelry. This includes, but is not limited to the following: perspiration, perfumes, cleaning agents, chlorine, salt water and silver polish. To clean your PANDORA jewelry, pour a small amount of mild soap into some lukewarm water and use a small, soft toothbrush to clean your jewelry. Soft toothbrushes are ideal for cleaning jewelry with intricate details, which can otherwise be difficult to clean. If the dirt is hard to remove, soak the jewelry in clean water for 10 minutes, brush and rinse again. However, remember that this cleaning method should not be used to clean jewelry with cultured freshwater pearls and Mother of Pearl. For a shinier surface, the PANDORA Polish Cloth is a great tool to clean and make your silver and gold jewelry shine again if the pieces have become dull. Keep in mind the cloth will not remove scratches. You are also invited to stop in at our PANDORA store locations for a FREE in-store cleaning. The Jewelry Care Kit has been developed especially for PANDORA jewelry pieces and will preserve the beauty of your precious collection. This care kit includes a clasp opener, a cleaning brush, two polishing cloths, two pouches and a care guide. If you've selected oxidized jewelry, please know that oxidation fades over time. This is considered normal wear and tear and is not a defect. How quickly depends on how the jewelry is treated. Things that cause the oxidation to fade quicker include; perspiration, chlorine, perfumes, cleaning agents, and silver polish. WARNING - DO NOT EXPOSE PANDORA TO CHEMICALS! Silver pieces are given detail by oxidation. Exposure to harsh chemicals can alter the appearance of your PANDORA product. These chemicals include, but are not limited to, liquid silver polish, pools, hot tubs, and spas. Oxidized silver and pearls are easily damaged. PANDORA RoseTM and PANDORA ShineTM deserve special care, so kindly follow our recommendations to ensure your jewelry remains beautiful and are lasting keepsakes. Please avoid abrasive or rough surfaces as this may increase the wear and tear of your PANDORA RoseTM and PANDORA ShineTM products. Maintain the beautiful shine and unique finish by polishing PANDORA RoseTM and PANDORA ShineTM products with a soft cloth. Dampen a soft cloth in lukewarm water, adding a small amount of mild soap, and rub gently on jewelry. Rinse with clean water and pat dry with a soft cloth. If jewelry is particularly dirty, soak for 5 to 10 minutes. Use of silver polishing liquids, silver dips, ultrasonic cleaning and a tumbler should be avoided. PANDORA polishing cloths with cleaning compound are not recommended for PANDORA RoseTM or PANDORA ShineTM jewelry. Do not expose the jewelry to harsh chemicals, perfumes, lotions, and remove jewelry prior to bathing or swimming. Please note that the warm pink-hued color of PANDORA RoseTM may intensify with age due to tarnishing, adding to the jewelry's beautiful, vintage appeal. It is normal for the finishing to wear off over time. PANDORA's warranty does not cover this wear and tear. With proper care and maintenance, the plating of PANDORA ShineTM will last a long time. However, it is impossible to put an exact time on this, as it depends on how the jewelry is worn and the care exhibited. Jewelry should be stored away from natural sunlight and heat, in a protective(lined) jewelry box or tarnish-resistant pouch. It can also be stored in a plastic zip lock bag made of Mylar or polyethylene. Never use polyvinyl plastic bags, such as trash can liners, as they contain sulfur compounds, or rubber containers which will make sterling silver tarnish faster and possibly turn black. Do not store your jewelry in the bathroom. How do I open the clasp on my bracelet? The best way to open classic PANDORA bracelet clasps is by sliding your fingernail into the seam (between the A and the P of the engraved letters) of the barrel clasp. The clasp will open with slight pressure. PANDORA also offers a Clasp Opener. Gently place the flower petal edge into the seam of the clasp and the clasp will gently open. The Clasp Opener is also very useful in opening PANDORA clips. What is the warranty on PANDORA? PANDORA warrants all products purchased through an authorized distribution channel such as a PANDORA store, or other official online dealer such as www.BeCharming.com, against defects in materials and workmanship under ordinary consumer use for a period of ONE (1) YEAR from the date of original retail purchase. This Limited Warranty applies only to products manufactured by PANDORA. This Limited Warranty does not apply to damage caused by accident, abuse, misuse, misapplication, or use of non-PANDORA products. Stretching of PANDORA chains and bracelets is not considered a manufacturing defect. Wearing counterfeit or non-PANDORA charms can damage PANDORA bracelets and will void the warranty. PANDORA will not replace, fix, or repair product that has been used with non-PANDORA products. DO NOT expose your PANDORA products to harsh chemicals or environments. Exposure to harsh chemicals or environments can alter the appearance of your PANDORA product. These include, but are not limited to, liquid silver polish, cleaning solutions, pools, hot tubs, and spas. Please refer to the cleaning and care instructions for additional information on caring for and protecting your PANDORA product. Failure to follow these instructions may constitute abuse, misuse, or misapplication of your PANDORA product. General wear and tear, misuse, exposure to chemicals, and tarnishing are not covered under the warranty. Please see the PANDORA Limited Warranty information in the product catalog for a full description of warranty obligations and terms. You may obtain warranty service for your PANDORA product by contacting the PANDORA retailer where it was purchased. 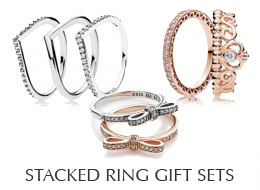 If your product was purchased at PANDORA Mall of America online at www.BeCharming.com, please call: 800-878-7868 or email: service@becharming.com.